Data protection is a top concern for today’s IT administrator, as data is critical data is becoming more difficult to protect. Organizations are adopting virtualization strategies on hybrid cloud environments to protect and store the massive amounts of data that they are currently processing. 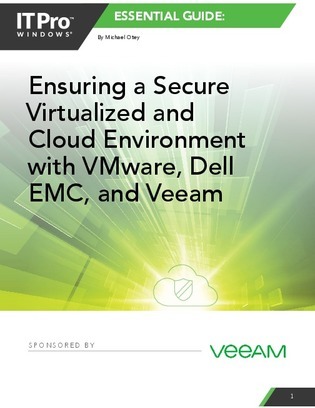 Read this e-guide to learn about VMware, Dell EMC, and Veeam solutions that are designed to create secure and virtualized data protection in the cloud.